I had to change my “Rear Sam?” because of some water damage I had gotten under the back seat, on the passenger side. This had made my fuel guage not work, or any power go to the rear. I had changed the SAM, and now everything works, even the fuel guage. But then I kept on driving, the guage needle would move, but it is innacurate. It would tell me there is like 18G in the car for about 250miles of driving. And when I fill up the car…The needle will stay all the way down, as if it was not working, then after about 50 miles of driving, it will shoot all the way up. Someone had said it is my Sending Unit. Another had told me it was a fuel relay? My fuel guage used to work properly until the rear SAM was damaged, and when I replaced the SAM, The rear tail lights started working again…Because there was no power going to the rear at all because of the damaged comp. Now that I replaced it, I have all power back in the rear, and there is power for the fuel guage…But it just doesn’t read right….And when I fill it up, it wont read at all until about 40 to 50 Miles into my drive. It appears that the SAM MAY need to be coded and it is behaving “strangely” because the unit has insufficient or incorrectparameters to send the correct signal to the fuel gauge. Coded means “programmed” to match your vehicle. The SAM you have purchased is a generic part and MAY fit to many models and markets of MB and needs to be “set up”. This requires connecting to a MB STAR diagnostic tool (MB proprietary) or similartype of diagnostics computer to carry out the procedure. 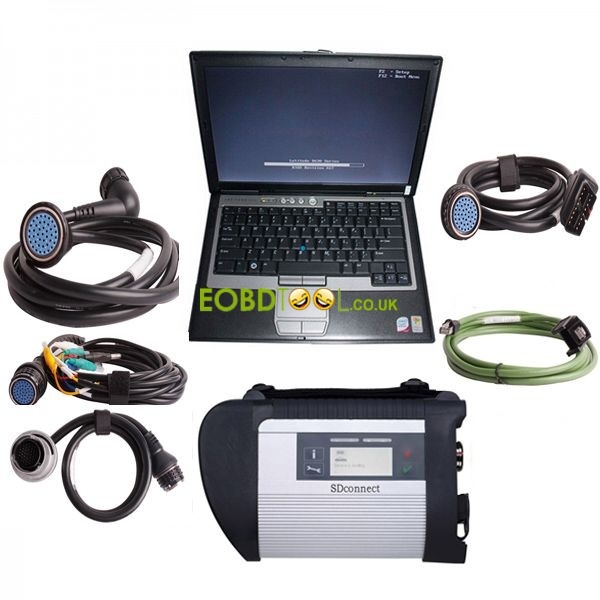 Connecting to such a computer will also enable On Board Diagnostic codes to be read which should assist in pointing towards the problem by identifying that parameters are missing or implausible for the Vehicle Identity Number VIN etc. Who is good supplier of STAR diagnostic tool? I have STAR and it’s worth every penny… just takes some time to get to learn how it works. Dont get one with virtual image software, get an actual Dell D630 with original HD and SD C4 unit. Compared with the virtual image software, it runs faster, Internal is so much nicer because now I just have the multiplexer and laptop to carry to the car, nothing to unplug or fall off, if you use it quite a bit then go External hard drive. EVG7 VS old DELL D630 what do you know?